Next month’s Genre has been chosen by Tim of FilmFunkel We will be reviewing our favorite Found Footage movies. In order to get a better idea as to what this genre might include, check out this post by Tim. 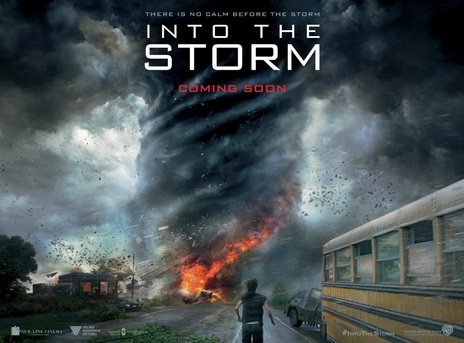 Brief Synopsis – A group of storm chasers encounter one of the greatest tornado storms in history in a small town during a graduation ceremony. My Take on it – I must once again admit that it is quite difficult to find movies in the Found Footage genre that aren’t horror, but I’ve been somehow managing. Unfortunately, this one doesn’t work so well because not all of the ones I find are actually good movies. It felt too much like a really poor carbon copy of Twister (1996) without everything that made that movie so entertaining. There we had an excellent cast who portrayed interesting characters that we cared about. The thrills were built in to the plot and executed amazingly by Director Jon DeBont. This movie had none of those things and fell flat when it was trying to be more thrilling. Forget the found footage aspect, if you wanna see a fun movie about chasing tornadoes, this isn’t it. Bottom Line – This felt like a sub-mediocre copy of Twister (1996) but was missing Jon DeBont, great characters and a thrilling story. The found footage aspect was an interesting twist to the story but ultimately I don’t think it added enough to the story to warrant a need to watch this one. Genre Grandeur Worthy? – Not even close. Felt too much like a bad carbon copy of Twister (1996) without the fun storyline and characters. I totally agree – this movie was terrible!